Jordan Weinstein (UKidney) has done it again. 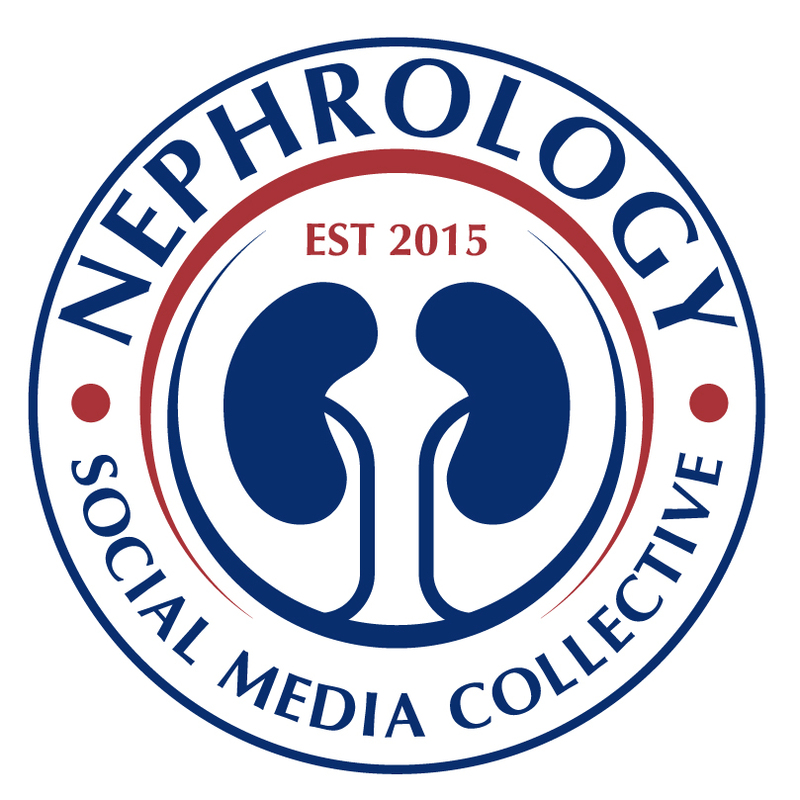 UKidney has assembled a great collection of high impact articles. What I love about UKidney is the organization and the style. If you are interested in learning more about a particular topic all you need to do is click on the appropriate category you are interested in and multiple articles in that particular area will be displayed. See below. What if you want to suggest an article to be included? No problem at all. Just suggest one as below by clicking the green suggest an article tab. If you have recently made a visual abstract and want to add this. No problem just submit this as well. The UKidney High Impact Article Library is jam packed with info. You can click on the PubMed link, Journal Link, download the article, or even make a comment about the article. 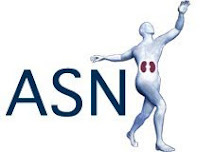 What makes this unique is that the NSMC along with UKidney are adding visual abstracts to the mix as well. Click here for all of them. See below. What I love most about the library is that we as a community can continue to cultivate the library. Adding visual abstracts, commenting, suggesting more articles, or adding more categories. I see this as a one stop show for examining the literature. 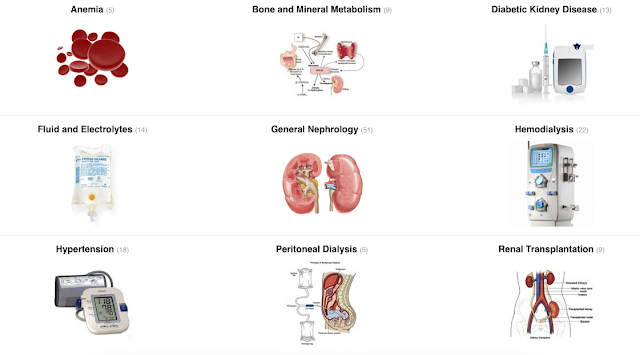 Kudos to UKidney and Jordan Weinstein for making a superb learning tool. 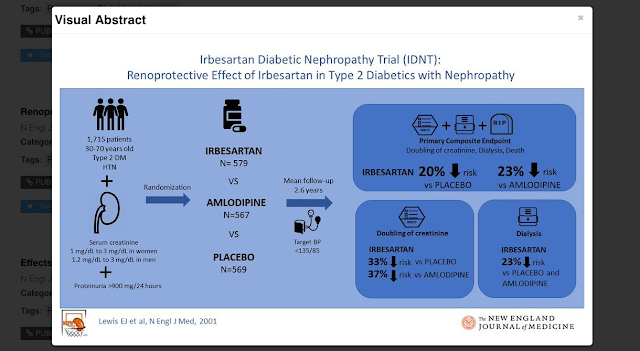 One of the sessions that caught my attention at the 2017 NKF Spring Clinical Meeting in Orlando, Florida was “Beyond RAAS Inhibitors: Novel Drugs for Diabetic Kidney Disease” by Katherine Tuttle,MD. 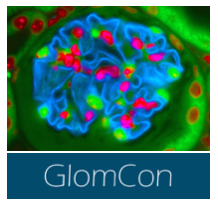 There was a lot of hype around the SLGT-2 inhibitors at this year’s NephMadness. Even though they lost in the semifinal round, many participants felt that it was one of the sleeper teams that could win it all. If I had to give Dr. Tuttle’s session a name I would call it “When Endocrinology Meets Nephrology”, because of the topic and the speaker’s background as an endocrinologist and a nephrologist. She went through the past, present and future in diabetic nephropathy therapies. 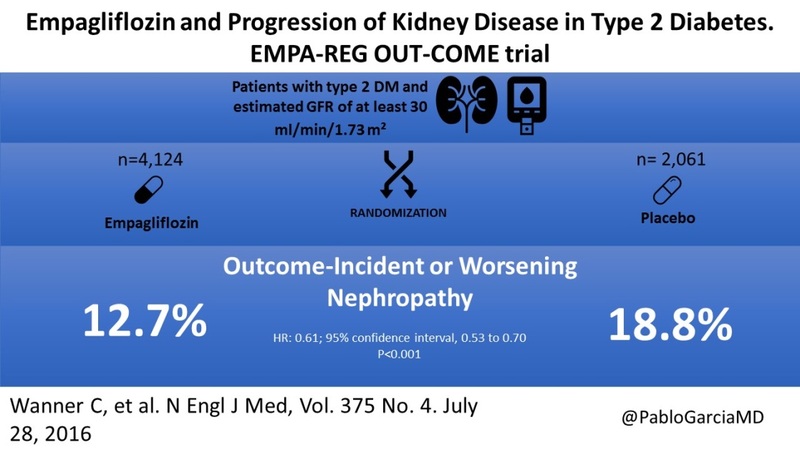 Some of the information that struck me was the fact that 10% of the patients with diabetic kidney disease progress to ESRD (dialysis and kidney transplant) and 90% die of other causes (CVD or infection) without reaching ESRD. This means we still need to make some improvements in cardiovascular disease prevention among diabetic patients. 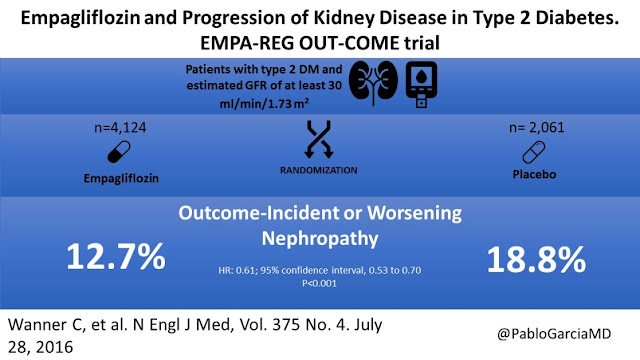 During this presentation, Dr. Tuttle referred to the “Empagliflozin and Progression of Kidney Disease in Type 2 Diabetes” and the LEADER trial which are two of the most important trials looking at SGLT-2 inhibitors and GLP-1 analogues. For those who are not familiar, I want to share a visual abstract to give a quick and clear idea about the EMPA-REG OUT COME trial. The future looks bright for both of these novel agents for diabetes, in addition to hopeful positive effects on kidney and cardiovascular outcomes as well! Recently, a young man was admitted to the ICU. He had recently been diagnosed with recurrent cancer and had received a single dose of dexamethasone the previous night. He had taken double the prescribed dose because he had missed his prior dose and was trying to catch up. Two hours after taking the drug, he developed global profound muscle weakness and presented to the ED. His potassium was measured at less than 1.5mmol. He had a prior diagnosis of hypokalemic periodic paralysis dating back to the time of his initial cancer diagnosis 15 year before. He was treated aggressively with iv and oral potassium and his paralysis rapidly resolved. Unfortunately, he had significant rebound hyperkalemia (potassium peaked at 6.8mmol) requiring treatment with iv fluids and diuretics. He was discharged after 48 hours on a lower dose of steroid and after a second steroid challenge to make sure he would not get recurrent hypokalemia. He had marked hyperglycemia on presentation and it was thought that this was the reason why he had developed such a significant potassium shift. Notably, he had been on potassium supplementation in the past but had been stable for years as he knew which foods to avoid to prevent an attack. Hypokalemic periodic paralysis is a rare disease with an estimated incidence of 1:100,000. Most cases are genetic although it can occur in association with hyperthyroidism. The majority of genetic cases are autosomal dominant and are due to mutations in a gene encoding a muscle calcium channel. It is not known how this leads to hypokalemia. Treatment involves administering oral or iv potassium but care must be taken as they are not potassium deficient and there is a high risk of rebound hyperkalemia once the stimulus to movement of potassium into the cells is gone. Long term, most patients develop a progressive proximal myopathy which is usually apparent by age 50. There are no specific treatments to prevent attacks although carbonic anhydrase inhibitors have been shown to be effective in a subset of patients. Patients are advised to avoid high carboydrate meals. Potassium sparing diuretics and potassium supplements have also been used. When giving iv potassium replacement it is important to make sure that it is not diluted in dextrose as this will increase potassium movement into the cells. As I was chatting with the patient, his weakness was improving and he was able to wiggle his toes again. This put me in mind of the scene in the Princess Bride after Wesley is brought back to life and slowly recovers the use of his muscles. I therefore propose a new name for hypokalemic periodic paralysis - The Princess Bride Syndrome! See also these previous posts about hypokalemic periodic paralysis on RFN. I ran into a colleague from Children's Hospital over the weekend and she pointed me in the direction of this great education website that they have created for the education of students, residents and fellows. 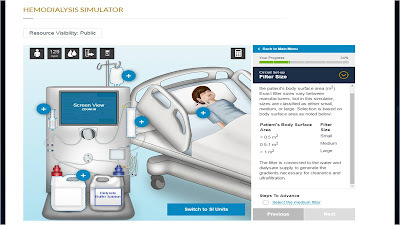 In particular, they have designed a hemodialysis simulator that allows you to run a dialysis session from start to finish. It includes all the patient parameters: labs, examination, fluid inputs and outputs. It then asks you to set up the circuit and start the dialysis. All of the usual parameters can be changed at any time. This is a great teaching tool and I highly recommend it. It is geared towards pediatric patients - I doubt if many of our patients weigh 22kg - but the general concepts are the same. They also have a peritoneal dialysis simulator. In patients with combined renal and liver dysfunction it is important to differentiate between renal impairment that is secondary to liver disease i.e. hepatorenal syndrome, and conditions where an insult directly affects both the liver and kidney. I recently saw a 20-something year old student who was a regular kayaker in local rivers. He had a 5 day history of myalgia, fever and headache with no vomiting or diarrhoea. He took paracetamol (acetaminophen) and ibuprofen within recommended limits for his symptoms. In the 24 hours prior to his admission he developed jaundice and noticed decreased urinary output. On arrival to hospital he was jaundiced but examination was otherwise unremarkable. There were no signs of chronic liver disease and the liver was not palpable. He was hemodynamically stable. Blood tests showed a raised (conjugated) bilirubin at 453umol/L (25 mg/dL), ALT within normal limits and mildly elevated ALP at 162U/L. He had an acute kidney injury with creatinine 427umol/L (4.83 mg/dL), potassium 3.4mmol/L. He was anemic and thrombocytopenic with a neutrophilia, and blood film showed toxic granulation, with no red cell fragments. An ultrasound of his liver was unremarkable and his kidneys were at the upper limit of normal size with no hydronephrosis. For 36 hours he was anuric despite fluid resuscitation, and required a short period of CRRT. After this time he began passing urine and his creatinine spontaneously fell, although bilirubin remained elevated. He was treated empirically with ceftriaxone and doxycycline for leptospirosis, and six days later urine PCR and serum IgM came back positive for leptospirosis. Leptosporosis is a zoonosis usually transmitted to humans through rodent urine in water. The majority of cases cause a self-limiting febrile illness, but in its severe form - Weil’s syndrome – patients can develop jaundice, renal failure, pulmonary haemorrhage and aseptic meningitis. Renal impairment in leptospirosis can be secondary to a number of different mechanisms including sepsis/critical illness, a direct nephrotoxic effect to the renal tubule by the leptospira toxin, tubulointerstitial nephritis, rhabdomyolysis and hyperbilirubinemia. Patients often maintain good urine output despite renal injury, and tubular dysfunction means most patients are hypo- or normokalemic even if oliguric. Another characteristic finding is enlarged kidneys with normal parenchymal echogenicity on ultrasound. Included in our initial differential was that his renal impairment was secondary to hyperbilirubinemia. Bilirubin causes renal impairment again through a range of mechanisms including direct toxicity to the nephron, bile acid casts causing tubular obstruction, and hypoperfusion from vasodilation. Renal biopsy can show pigmented bile casts within the tubules and tubular hypertrophy (see image). Electron microscopy can show bile acid accumulation within lysosomes and dilated mitochondrial cristae. In those with normal baseline renal function and short-lived hyperbilirubinemia changes are often mild and reversible, but irreversible damage can occur in those with underlying renal impairment. Early clues for leptospirosis in this case include hypokalemia despite being oligoanuric, enlarged kidneys on ultrasound and of course his social history. CMV infection still remains one of the most common and unpredictable complications in transplant recipients, and the negative consequences in terms of graft lost and recipient survival are well known. In this setting, I would like to present a remarkable kidney transplant case from our institution: an unsensitized 40 y/o female, IgG seropositive for CMV was transplanted from a seropositive deceased donor. She had taken the standard immunosuppressive therapy, and after 2 months was diagnosed with CMV-disease. Considering the situation above, one may question why this happened and how could it have been possible to predict this outcome. Currently, the immune-risk stratification before transplant is based only on CMV-specific antibody (IgG+) of donor and recipient. However, the cellular immunity is crucial in controlling the viral replication and conferring long-lasting protection. The proportion of both CD4+ and CD8+ T cells committed to the anti Human CMV (HCMV) response is large, ranging from 10 to 40% in peripheral blood. In this scenario, novel immune assays may play a mainstay role. They consist in evaluating physiological response of HCMV specific T cells (cell activation, cytokine expression or proliferation) through antigen stimulation in vitro (virus-infected cells lysates or virus-like particles). As depicted in Table 1, these tests have different characteristics; therefore a physician must know how to choose the best test for a specific situation. Similar cases have already been described and one may conclude that these patients lack cellular-immunity. On the other hand, seronegative recipients who have low rate of specific T cell have also been described. In this scenario, these new tests could give information on how to predict the ability to control viral replication. Hence, T cells analysis can justify a whole new perspective of prophylaxis indications. 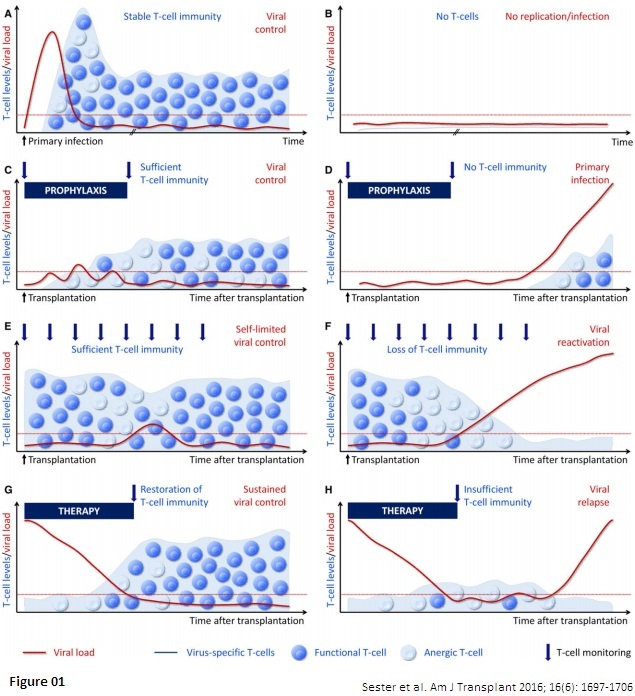 Also, in posttransplant situations (Figure 1), serial evaluation of viral load and T cell test are important to guide therapy and foresee relapse after its cessation. Low levels of CMV-specific T cell response correlates well with reactivation of CMV-infection and late-onset disease; immediate treatment or prolonged prophylaxis would hold back these outcomes. 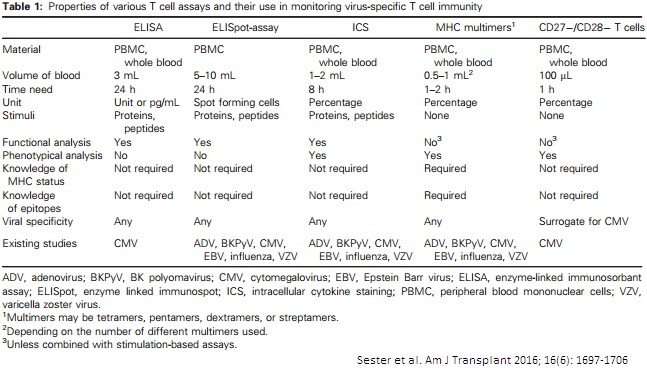 Therefore, an individualized approach with measurement of CMV specific cellular and antibody response will be crucial in the improvement of transplant outcomes, in particular in centers that do not routinely use CMV prophylaxis. 1- Sester M; Lebooeuf, C; Schmidt T, Hirsch HH. 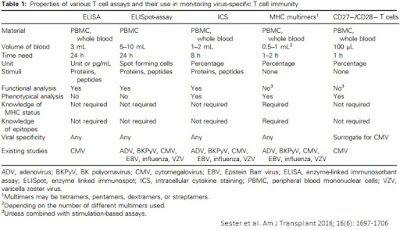 The “ABC” of virus-specific Tcell immunity in solic organ transplantation. Am J Transplant 2016; 16(6):1697-1706. 1- Lucia M, Crespo E, Cruzado JM, Grinyo JM, Bestard O. 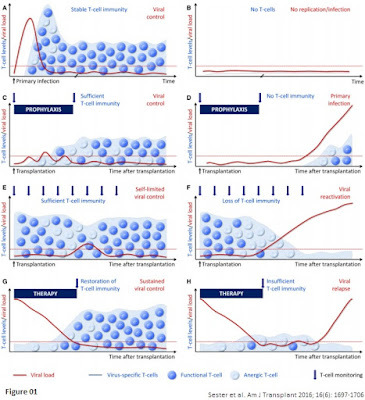 Human CMV-specificT-cel reponses in kidney transplantation; toward changing currentrisk-stratification paradigm. Transplant Int 2014; 27(2): 643-656. 1- Kotton CN, Kumar D, Caliendo AM et al. Updated International ConsensusGuidelines on the management of cytomegalovirus in solid-organ transplation.Transplantation 2013; 96: 333-360.